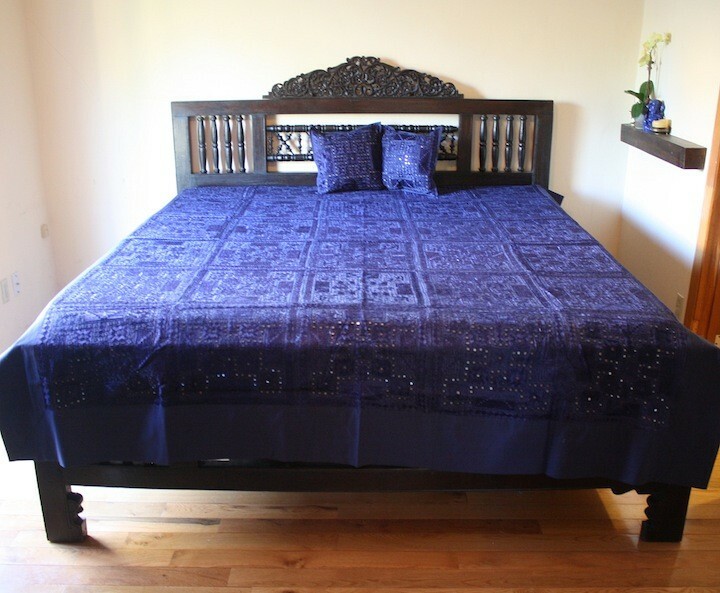 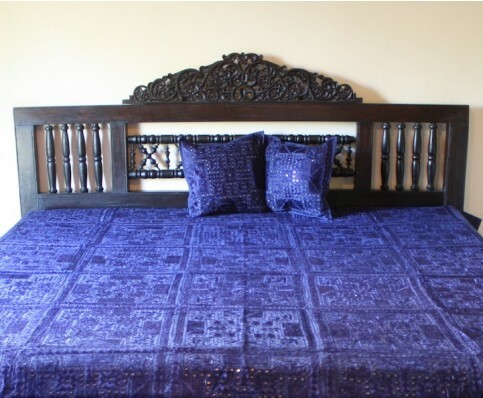 The Mirror and Patchwork Bedspreads feature exquisite embroidery on thick natural cotton. Individually embroidered mirror work patches are stitched together on a cotton backing in the traditional style of Gujerat, India. 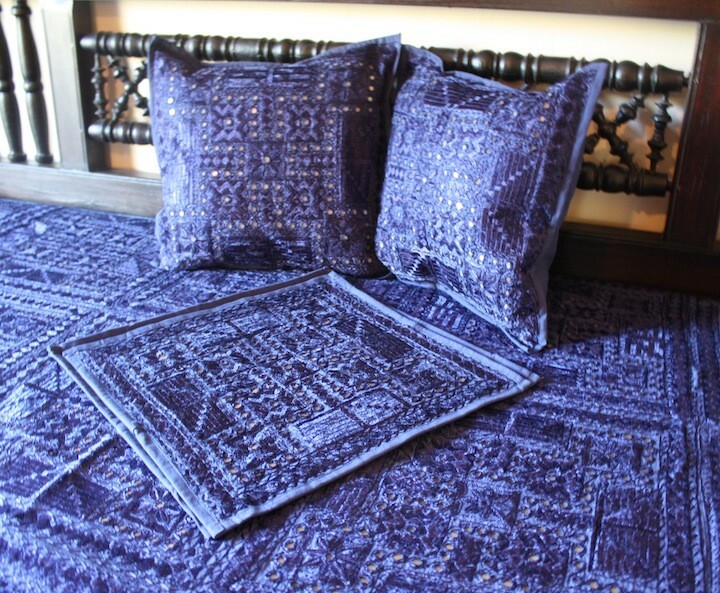 Includes 4 coordinating pillow covers in 18x18".